After working for American Tea Room for 5 1/2 years, I’ve decided to move forward with my career. Although I began my career more familiar than some with the world of tea, since the middle of 2010 I began an obsession, first working as a sales associate for American Tea Room, right smack in the middle of Beverly Hills’ Golden Triangle. After a few years, I worked my way up to Store Manager and became intimately involved with the operation of the brand, eventually assuming the role of Beverage Director, officially, and unofficially as Training Director for all employees. I designed American Tea Room’s Tea Bar menu and helped organize, train, and open American Tea Room’s flagship Art’s District store in Downtown Los Angeles and their Fashion Island store in Newport Beach. Finally, at the end of 2015, I chose to move on from my relationship with American Tea Room. Here is what I’ve learned in my time dealing with tea nerds and novices, customers and companies, importers, retailers, and the tea industry at large. This may seem obvious, but I was amazed at the diversity of people who find tea to be something truly special. Since Beverly Hills is the jugular for those visiting Los Angeles to pass through, I dealt with every kind of person you can imagine. Old and young, of every nationality, male and female, famous, infamous, or normal. Princes and foreign dignitaries, actors and actresses, writers, bigots and misogynists, producers, lawyers, doctors, farmers, constructions workers, criminals, cat ladies, mystics, musicians and rappers, winemakers and spirit producers, potheads, professional athletes, police officers, war veterans, and everyday folk like you and me. They all have a passion for tea. Tea is the language they all speak to some degree or another. I remember a weary looking Scotsman who wandered into the shop one day and asked for a strong Scottish Breakfast tea. I made him a pot, taking my time to be sure I made it the correct way for a Scotsman. I waited as he tried it, fully expecting that he may not approve (they are very particular about their tea). But once he sipped at it, his whole body seemed to release. A smile crossed his face, then he looked at me and said, “I don’t know where I’d be in life if it weren’t for tea.” Something about that statement rang so true to me. And it obviously does for countless upon countless others the world over. Until working in tea, I had never realized how we are all connected by this simple (some would say the simplest) of beverages. There is a new kind of tea lover out there. I’m calling them the “New Teaists” (don’t worry, I don’t expect the term to stick, I just needed to call them something). Who are they? They are predominantly younger people, let’s say folks between the ages of 18-35 (people who can make their own decisions about where they will buy tea for themselves, in which I am included), they are frequently much more knowledgeable about tea than the layman, and are passionate about learning. When people want a caffeine boost, the overwhelming fact is that more Americans are turning to tea every single year, whereas coffee consumption has leveled out. What percentage of this total are New Teaists I don’t know, but I can tell you that they are informing the specialty tea market, whether they mean to or not. It wasn’t always seen this way, but when I was growing up tea drinking seemed like a foppish hobby, or something lonely cat people do, or the pastime of stodgy old ladies, or for people who are really into incense, yoga, and Asian tapestries. Now, it’s seen as the next boom in drink culture. Ask a New Teaist if they were drinking tea regularly five or six years ago and almost none of them were. Now, they know teas and tea regions by name like Tie Guan Yin or sencha or Darjeeling and will ask for them regularly. Everything that a younger generation is turning away from, i.e. mass production and commercialization, hasn’t been relevant to the tea industry in America in the last few decades the way it has been with other drink genres (coffee, beer), thus it remains an open playground for everything that the New Teaist is interested in, e.g. direct retailers, transparent information, and smaller brands that seem crafted to suit their needs and tell a story about the tea and the kind of people that drink that tea. Everyone likes their tea a different way, and that’s okay. I’m not yet convinced that the tea industry is cohesive enough to tell a story that will resonate with consumers enough to compete with other beverages. But I’m very optimistic! A kind of unification needs to exist; a kind of standardization of terms and concepts. The disparate parts of the industry can be so completely varied, confusing, and contradicting that there are basic concepts that took me the whole length of my tea career to grasp. Cohesion is easier said than done, but not impossible. For instance, why isn’t it an industry standard to use proper pinyin for Chinese words? From my experience working with people who like tea and want to know more about it, I know what works on a person to person level. What will work on an industry-wide level, and how will it be implemented? I have no idea. Needless to say, tea being accessible to a larger market and a wealthier market is fairly dependent on it. As it is, many brands simply go with their best instincts or clever ideas rather than trying to look at the tea industry at large and create equilibrium. Simply look at the unification of terminology and ideas in the specialty coffee market, or in craft beer, or the entire world of wine! They are beautiful for their complex, but structured, organization and you very rarely see producers playing outside of these boundaries, which is why so many do so well. I fully understand that tea is a different matter due to the challenge of unifying terms in multiple Asian languages and that these other beverages have the benefit of being predominantly Western. But that shouldn’t stop us from trying, and indeed it might be imperative in order for tea to take hold on a larger scale in not only America but the world. What will work on an industry-wide level, and how will it be implemented? I have no idea. Needless to say, tea being accessible to a larger market and a wealthier market is fairly dependent on it. As it is, many brands simply go with their best instincts or clever ideas rather than trying to look at the tea industry at large and create equilibrium. Simply look at the unification of terminology and ideas in the specialty coffee market, or in craft beer, or the entire world of wine! They are beautiful for their complex, but structured, organization and you very rarely see producers playing outside of these boundaries, which is why so many do so well. I fully understand that tea is a different matter due to the challenge of unifying terms in multiple Asian languages and that these other beverages have the benefit of being predominantly Western. But that shouldn’t stop us from trying, and indeed it might be imperative in order for tea to take hold on a larger scale in not only America but the world. So many people have gotten into loose leaf tea! How do you get people to change? Start with the flavor: Insist that if they’ve never had a cup of loose leaf tea, then they’ve never had a cup of tea like it. The depth of flavor, the quality, and the craftability are unbeatable. Then, once they start to moan about how difficult it is to make a cup of loose leaf tea (and they will moan), insist that you can make a cup of loose tea in exactly the same amount of time it takes them to make a cup of teabag tea. They will doubt you, claiming that is it difficult, but relate it back to the most basic formula for tea the world has ever known, written by none other than the master and semi-creator of the Japanese Tea Ceremony, Sen no Rikyu: “Tea is nothing more than this: heat the water, prepare the tea, and drink it properly. That is all you need to know.” In essence, hot water + tea = tea you drink. The tea bag works as a strainer for the tea leaves, so all you need is a vessel to strain to the tea through. Ask them if they’ve ever made pasta. Yes? Then they can make loose leaf tea and its ten times easier. Finally, when they state that the steeping time and water temperature can’t be that important and they’d rather not bother with it, ask if they like the taste of what they’re making? If so, no need to bother. But remind them that time and temperature are always important. Why do we bake bread at specific temperatures? Why do we cook steaks different lengths of time? Because bread needs a specific temperature to speed up the yeast conversions, the caramelization, and the Maillard reaction to give the loaf its unique flavor and consistency. Similarly, steak needs to be cooked at a specific temperature for the Maillard reaction to occur, and how long you cook it is dependent on your taste, but generally people can agree that a steak tastes better when it’s not pitch black. If these recommendations fail to convince them, they might just be unreachable (although I’ve had quite a few late-life converts). Ultimately, it will be up to the New Teaists to change hearts and minds about making tea in the future. Consumers will absolutely pay for high-quality tea, if the story is right. Access to top quality tea does not necessarily mean that people will like it, but the goal is to have one or two of them stick. It’s also important to remind them that flavor profiles need to be built in the brain over time. The first time someone tries a heicha will most likely not be their favorite time drinking it. 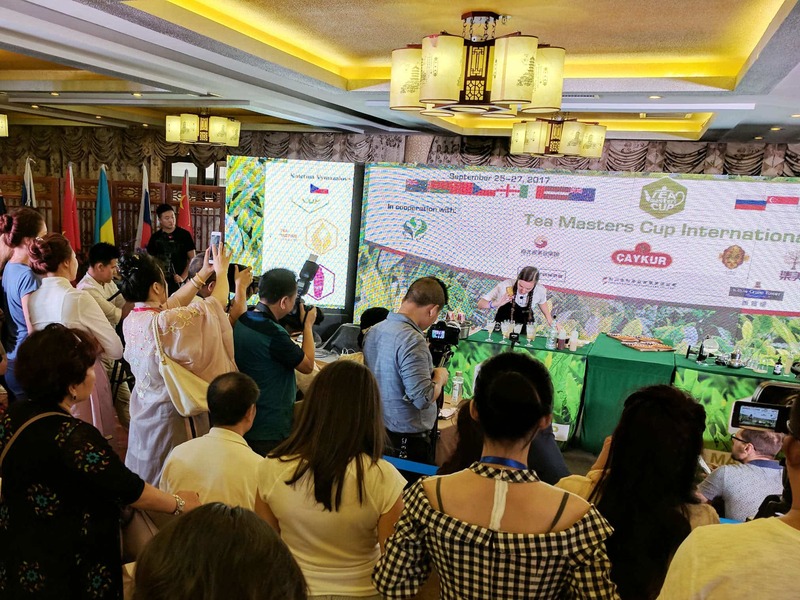 Whether it’s the story of the tea that captures the customer, or growing region, or the taste, or the way it makes them feel, so many people burgeoning into the high-quality tea market haven’t ever had access to the range of teas now available. That being said, some people will absolutely not pay for high-quality tea. The perception of tea as a “cheap” commodity, on par with rice or wheat, is a hard one to beat and many simply don’t believe that tea can be anything special. Imagine someone trying to sell you rice at $100 a bag. How good could it possibly be, right? Yet, this is exactly how many feel about tea, that it is almost a human right to have tea (and who could blame them?). I believe it’s important not to make people feel bad about this perception though. It will be up to us and the New Teaists to drive the market towards higher end teas and the inevitable power of FOMO (Fear of Missing Out) will either lead these people to try a more expensive tea, or they will be too old to care. People want tea to be a panacea. One of the more poignant examples I can give involves a customer who used to come into the Tea Room. Occasionally, she would bring her brother, who looked a bit sickly. I came to understand that he had cancer and was dying. She frequently bought him lots of tea and mentioned to me her inherent belief that it would help fight his cancer. I tried my best to keep her expectations realistic, mostly by focusing on the quality of the tea and the soothing properties of it, but she doggedly stuck her belief that it would help. I never told her that it would help with her brother’s cancer and even had to tell her at one point that it probably wasn’t going to help and the doctors he was seeing were the real answer. Sadly, a few months later, he had died and she came in one last time to let me know. I was very sorry to hear it. This, believe it or not, is a story that I have experienced a number of times. Can you even imagine what she might have felt, or how I would feel if I had told her, even once, that tea helps fight cancer? That it would fight the free-radicals in his body if only he drank enough of it? I believe the problem becomes apparent when you are faced with a direct human consequence like this. It seems harmless enough to advertise a tea as a “rejuvenation tea”, and when scientific studies are taken out of context, allowing people to draw flawed conclusions, it’s easy to justify this. But when someone comes back to you and tells you that the tea they bought was supposed to lower their father’s cholesterol and then they died from a heart attack, what could you possibly say to make amends? Once again, don’t misunderstand me: I truly believe that tea is part of a healthy lifestyle. But preying on people’s primal fears to sell a product I believe to be wrong. First off, it’s illegal to make health claims that aren’t backed by the FDA and you can get into trouble for it (which has led to all sorts of vague tea descriptors, like ‘recovery tea’ or ‘purifying tea’). Secondly, it’s enabling people’s unfounded beliefs and distracting from the real problem. If someone wants to lose weight, they should probably start exercising and eating properly, not drink more tea. Many people, especially in large cities, still have a generic fear of non-organic, Chinese-grown, or irradiated Japanese tea, whether justified or not. What a producer absolutely can and probably should do is make sure the quality of their tea is extraordinary and have the documentation to prove it. Make sure your tea is certified organic, or if not certified, knowingly grown with high standards. It has already happened to a large extent, but we have to keep the pressure on to encourage farms to migrate to these practices. Perhaps have testing done on your Japanese tea? Many Japanese distributors already provide this documentation, but if they don’t, request it of them. I find it hard to believe they would refuse, and if they do, doesn’t that say something? Make sure your Chinese tea is fairly traded and that you know who grows your tea (pictures are helpful). There should never be a double-layered smoke screen around where your tea comes from. If you don’t know where it’s from, there’s a bigger problem than simply making sales. New Teaists will generally ask questions about these things. Novice tea-goers will not, but in creating the story for your customer, these are details that put them at ease and encourage them to buy. British people think they know everything about tea. They are wrong (sorry Brits, I still love you all). Chinese people think they know more about tea than anyone else. They are right. Americans still have ways to go in the world of tea, especially in restaurants. In my one month working in the tea industry – and decade as a more ‘informed teaist” – I’ve seen/experienced everything you’ve mentioned outside of the direct cancer story. That was intense. I’m an L.A. resident myself and work at a local tea shop here only because it was the first place I’d be to in the city that hadn’t had one feature of American Teaist Culture you failed to mention: stuffiness. You alluded to pretension a bit but that word doesn’t quite fit what I’m talking about, in my experience in the American Tea Room in Beverly Hills and Chado’s many locations around the city (as well as shops elsewhere on the west coast in SF and seattle) there needs to be a window or a skylight or a something opened. The attitude around it needs to change to be, for lack of better words, more open/warm. On the one hand you can say that comes down to the individual barista/teaist slanging the goods…on the other hand, it’s image as a place not welcoming to everyone needs to be changed. Like John B said above over a year ago, that doesn’t necessarily point to any clear direction but an example would be how White2Tea (though based in China) names cakes of tea after rap lyrics. Basically, we all need to take it, and ourselves, a little less seriously I reckon. I also say this realizing the very personality traits that send people down the rabbit hole far enough to learn about anything extensively (dedication, discipline, seriousness) lend themselves to stuffiness and not wanting to welcome people to the tea game proper. I totally get what you’re saying and I agree with you for the most part. I wholeheartedly agree that the industry and tea professionals need to take themselves less seriously. The real question is how does one make tea more approachable/less stuffy? The White2Tea option is really great and fun for some and I like where it’s headed, but is definitely prohibitive, both because of the culture it puts forward and the highly-specialized scope of their teas, for a majority of people. This is why one of the topics I mentioned above is that the industry hasn’t yet found itself a convincing worldview. It’s growing, to be sure, and those of us who are really into it see that, but I don’t think the problem is that it’s not approachable. There’s definitely a tea that sells to anyone, which, with the rise of the tea industry at large, has led to monstrosities such as “key-lime pie tea”. I have lived in South America, where I experienced Argentine Yerba Mate and The Incan Coca Tea. I have also lived in Japan where I experienced Tea Ceremonies and was given various Teas to make at home and some mysterious teas when I left. In France the tea was delightful. The only place that gives me a teapot when I order tea locally is Waffle House! Other places have small cases of tea I have to choose from, and then charge me again if I want another bag. I have quite a collection of tea bags and loose tea. I probably will not have consumed it all by the time I die (I am 70). Loved it. It took me a few days to find time (and concentration) for this text but I agree with what was written. Here in Poland we are a bit behind with the tea “fashion”, but living next to Czech Republic we are getting some of their tea buzz. that was a long read. I’m also interested in tea and the future of tea, but these types of ideas taken together never really point towards any clear direction. it seems relatively few people are really into tea now, more than before, but that it won’t be changing anytime soon. I don’t live in the US, although I am American, but the story isn’t much different than where I do live, in Bangkok. it’s odd how some people get an introduction to tea and it really clicks for them, and others can try something unusually nice and just say “that’s nice,” and not give it much thought. maybe as with matcha there is some critical mass of interest to be crossed over to, or maybe tea really will become mainstream in a few more decades.